We've had power back for a full day now. Still no phone, cable, or Internet... but we are thrilled to have power. I spent the day with my cell phone buzzing with updates from friends, some with power and some still without. The big excitement today was that we were finally able to trick-or-treat. Madison postponed until today 2-6pm and the kids couldn't wait. We gathered a little group of neighbor friends and the cousins. I wish I took more photos with my phone since most of my pics are on the camera and can't be uploaded with no Internet. They took off like it was a mission. 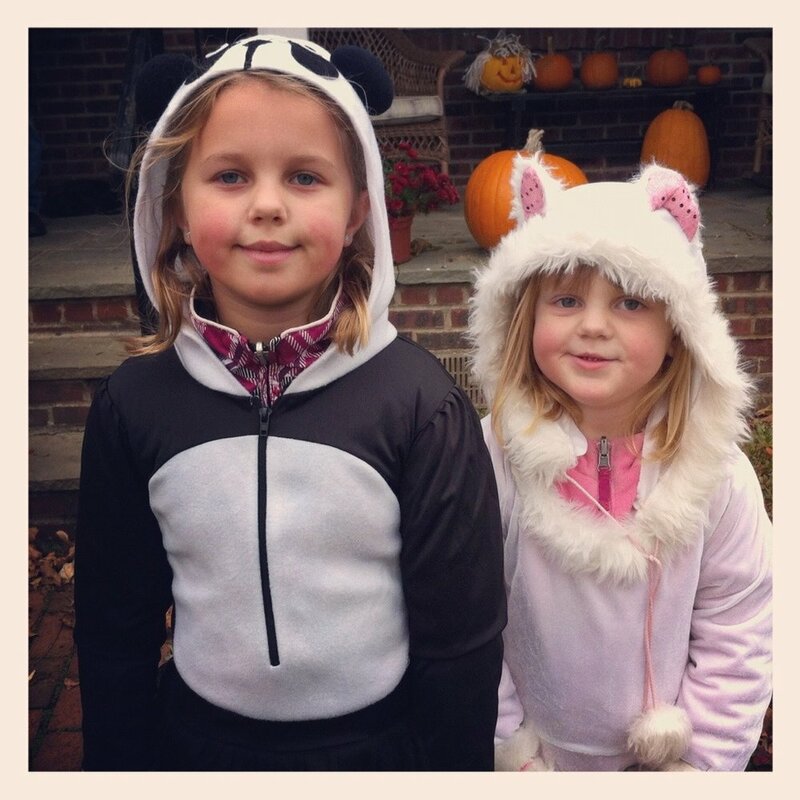 The first 1/2 of trick-or-treating was done with sprinting between houses. We could barely keep up. Thankfully they slowed down (a little), I think out of exhaustion. We walked further than any other year. We brought home more treats than any other year. We had less trick-or-treaters this year though. Still... we had 52 kids come to our door. It was a sweet day. We're almost through the post-hurricane ordeal... and a successful Halloween was had by all! Hopefully we'll have Internet back soon so I can stop iPhone posting.